EURA's first convention was held on August 28th, at Ramla pubic library. The fully occupied conference room reflected the general public's vast interest in the research of UFO phenomena. The convention was aimed at and dedicated to scientific research in the UFO and extraterrestrial field. While making an attempt to present a verity of angles, five profound lectures were given during the 7 hours of the gathering. 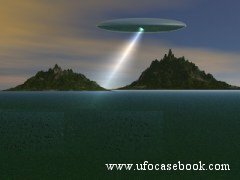 For the first time in Israel, parties who are not identified with the UFO phenomena and even more so, negate the entire matter, took part in the convention and were given the opportunity to present their stands. This attitude is most important for understanding why science mainstream negates, disavows and ignores the UFO phenomena, while declining to investigate into it. The same approach also proves most vital in order to substantiate a firm explanatory array for both public and negating factors. Opening words were given by EURA's chairmen, Gilli Shechter and Hannan Sabat who also reported on EURA's activities in the past eight months since it was founded and of main UFO events during the past year in Israel and throughout the world. This year's most significant event, was undoubtedly, the UFO incident over Stephenville Texas. Photographs and video footages were also exhibited during the lecture, most prominently - a footage presenting a Romanian Mig plane, which had mid-air collided at high altitude with an unidentified flying object. The Mig's canopy, was smashed by the UFO. Next lecture was given by Mr. Ben Ami Levavi, Hebrew translator of Zechariah Sitchin's "The 12th planet". The lecture, titled "The search for Dilmun" issued the authors findings, supporting speculations of extraterrestrial activity during the early years of civilization. Mr. Avi Blizovsky, editor of the Israeli "Hayadaan" magazine, was next to speak of why it is his opinion, that UFO phenomena is falsified altogether, while proclaiming most common mainstream science allegations. Mr. Dudi Zusiman, Rocket scientist and an Israeli popular Space and satellites forum administrator, premised a moderate stand, where he – as a skeptic, does not rule out the existence of UFO's however, demands substantial strong evidence of their existence and therefore, on one hand, questions the current findings while on the other, argues that the phenomena can not be negated prior to thorough study. Mr. Zusiman emphasized the importance of Skepticism as a scientific tool. And Finally, Veteran journalist, one of Israel's leading Ufologists and Eura's spokesman, Mr. David Ronen, spoke of Silicon chunks found in UFO landing sites all over the world, including Israel, and of researches conducted regarding this unusual substance, which conclusions were censored and forbidden to publish. Due to these and other issues, we are unfortunately unable to elaborate on data presented in this lecture; however we can and will state that exceptional findings were presented.